El Club de Mecenatge is made up of more than 80 companies with very different dimensions and sectors that support Temporada Alta. Its altruistic contributions are essential for maintaining the vitality of one of the national and international festivals. The Temporada Alta patronage programme is aimed at all those companies with cultural sensitivity, a passion for the performing arts and a close relationship with the territory. Companies that wish to promote culture, strengthen the social and educational commitment of the Festival, and be part of a culturally restless club with many years of history. In return we offer a wide range of counterparts in the field of prestige, brand image and public relations. All in all, of course, complemented by the access to the shows and the seats. “Very happy to continue participating in an important event, of the quality of Temporada Alta, thanks to which we have the luxury of enjoying a good selection of shows in our city. “Temporada Alta is a consolidated reality in the panorama of the performing arts with a dimension that, year after year, exceeds its own limits. Not only because of it’s program, with the best releases of each season, but also producing and stimulating the dissemination of new artistic talents. 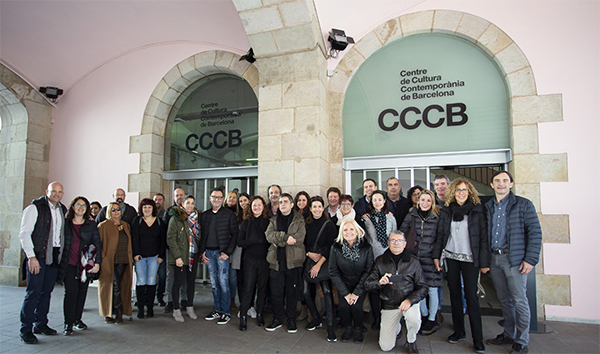 For Cafès Cornellà, being part of the group of entities integrated in its Club de Mecenatge has been an enormous satisfaction and a great opportunity to contribute to the development of the culture of our land. Do you want to be part of the Club de Mecenatge? De conformitat amb el que disposa el Reglament (UE) 2016/679, del Parlament Europeu i del Consell, de 27 d'abril de 2016 (RGPD), l'informem que les seves dades personals són incorporades en un fitxer de Bitò Produccions SL (B17310947) i tractades amb finalitats de gestió comercial i administrativa, de prestació del servei contractat i la facturació del mateix, així com per a l’organització i l’enviament d’informació relativa a la relació comercial i el propi esdeveniment contractat. Accepto i dono l’autorització per a rebre comunicacions relatives a les activitats, promocions, serveis i productes de Bitò Produccions SL.